The closer we get to the release of Star Wars: The Last Jedi, the farther away this long-awaited sequel seems. Fans are itching to return to a galaxy far, far away and see the stories of Rey, Finn and Poe continue. They’re also hoping to see some burning questions answered as The Last Jedi sheds more light on the franchise three decades years after the original movies. From Rey’s true identity to Luke’s stance on the Jedi, these are the six most burning questions we want to see addressed in The Last Jedi. What Is Rey’s Last Name? The Force Awakens left us with a number of questions, but perhaps none greater than the question of Rey’s parentage. She’s clearly among the most powerful Force users ever to live in the Star Wars universe, even with almost zero training. But all we know about her background is that her parents abandoned her on Jakku as a child. Presumably, Rey’s parents felt she was safer fending for herself on a remote world than attracting the eye of Dark Jedi like Supreme Leader Snoke. 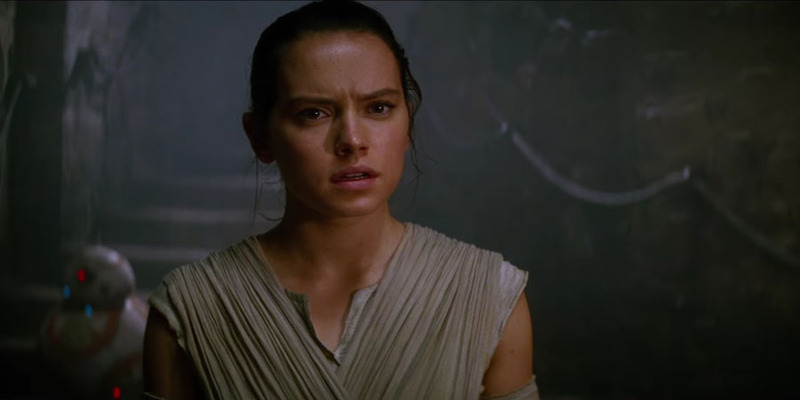 Who were Rey’s parents, and why did they abandon her? The most popular theory is that Rey is Luke Skywalker’s daughter, and that Luke put her into hiding even as he himself disappeared from the galaxy. Others believe that Rey may be the granddaughter of Obi-Wan Kenobi (who, as we learned in the Clone Wars animated series, wasn’t immune to the pull of romance himself). Why Does Luke Skywalker Want the Jedi to End? The first teaser trailer for The Last Jedi shocked a lot of fans when it closed with Luke saying, “It’s time for the Jedi to end.” That’s a pretty stark shift for a guy who ushered in the return of the Jedi Order at the end of the original Star Wars trilogy. Why such a big change of heart? Does this actually make Luke the villain of the film, in a way? We assume this ties into the failure of Luke’s Jedi Order. 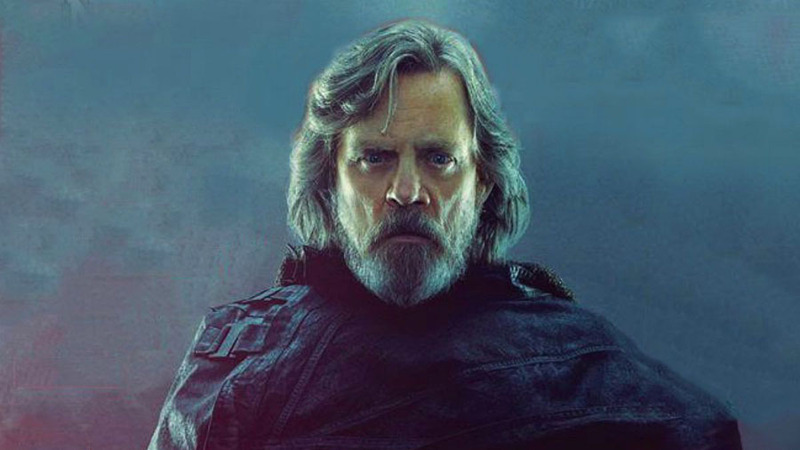 Having seen how much pain and destruction family members like Darth Vader and Kylo Ren have caused, Luke is probably disillusioned with the Jedi path. Maybe he’s decided that the strict dichotomy between Jedi and Sith is harmful to all, and that true mastery of the Force requires a person to be in touch with both the Light and Dark Sides. What’s Become of the New Republic? The Force Awakens only revealed the basics about the political makeup of the Star Wars universe post-Return of the Jedi. We know that Leia and her friends helped restore the Republic that Emperor Palpatine destroyed, and that Leia formed the resistance because the Republic itself was unwilling to deal with the threat of the First Order. But we don’t know much about the actual nature of the Republic or what role it’s meant to play in the growing conflict between the Resistance and First Order. At this point, it’s not even clear if there still is a Republic. Their capital planet, Hosnian Prime, was destroyed by Starkiller Base in The Force Awakens, along with a number of important leaders. Has the government survived that attack? And if so, is there now a united front against Supreme Leader Snoke and his army? 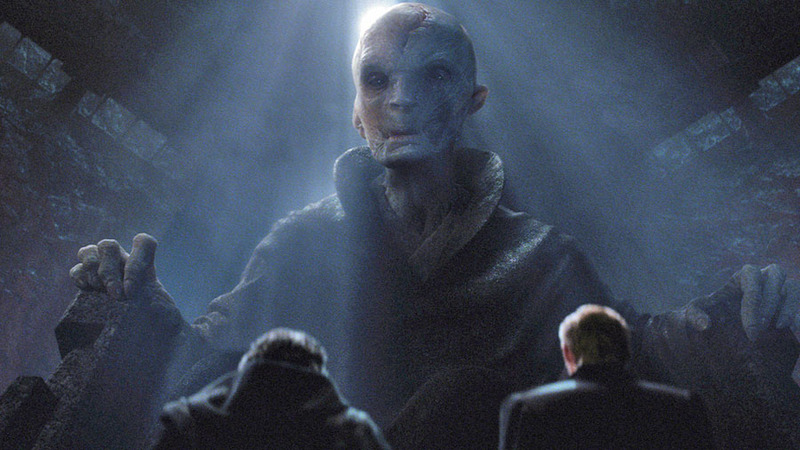 Speaking of Snoke, there are a great many questions that need to be answered about this mysterious villain. The Force Awakens established Snoke as a Palpatine-like figure guiding Kylo Ren and the First Order from afar. It’s probably safe to assume that Snoke is a powerful Force user in his own right, but is he a Sith Lord? What connection does he have to the late Emperor Palpatine? Some have speculated that Snoke is Darth Plagueis, the wise Sith Lord who trained Palpatine before being betrayed and murdered by his pupil. Palpatine did say that Plagueis unlocked the secret of immortality through the Force, so that reveal would help tie the new trilogy back to the Prequels. The Force Awakens revealed some choice tidbits about the history of new villain Kylo Ren. We learned that his real name is Ben Solo, and that he betrayed his parents and uncle by helping to slaughter the resurgent Jedi Order. But he didn’t do it alone. Rey briefly had a vision of Ben standing alongside several other armored warriors. This group of Jedi killers is apparently named the Knights of Ren. We’re hoping to learn more about this mysterious organization in The Last Jedi. Are they all Force-sensitive? Is Kylo Ren their leader, or was he merely another recruit to their cause? Do the Knights of Ren still exist at the time of The Last Jedi? If so, how will they respond to the return of Luke Skywalker? Will Leia Get a Proper Send-off? Star Wars fans the world over are still mourning the untimely passing of actress Carrie Fisher. Watching The Last Jedi will surely be a bittersweet experience, as the film will offer one last chance to see Fisher reprise her most iconic movie role. The question is how The Last Jedi and the upcoming Star Wars: Episode IX will handle Fisher’s death. We know that Lucasfilm won’t be attempting to digitally recreate Fisher’s likeness in Episode IX as they did Peter Cushing’s in Star Wars: Rogue One. Will Leia be written out of the picture in The Last Jedi? Will the studio find other ways of working around the problem? All signs point to Leia having had a prominent role in Episode IX before Fisher’s death. However Lucasfilm chooses to rework this trilogy to account for this unexpected tragedy, we hope Leia will be given the send-off she deserves.